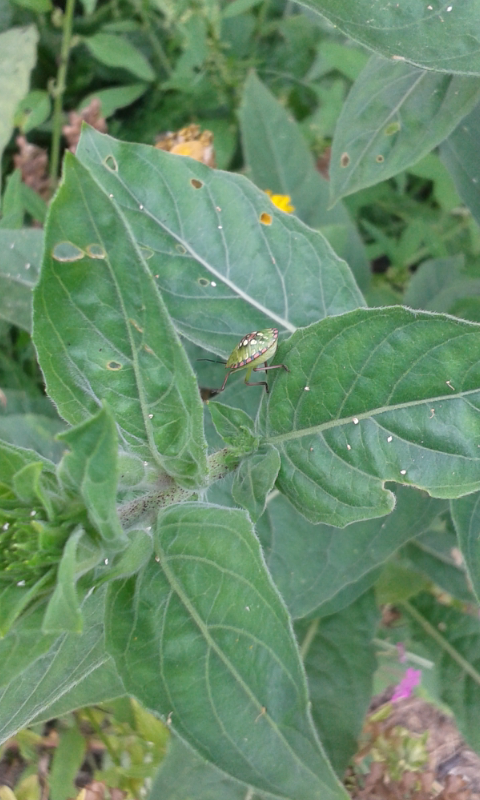 This is a stink bug, possibly Southern Green Stink Bug (Nezara viridula); for reference see Field Guide to Stink Bugs thumbnail Sec1:2 for photo close to this one. 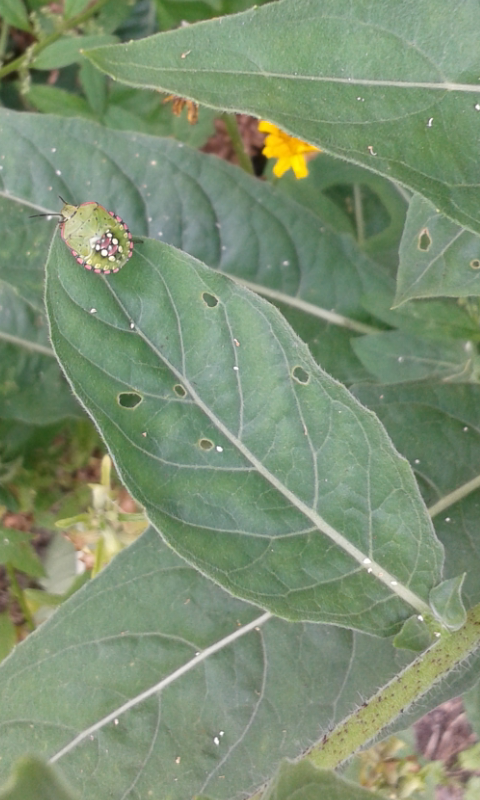 Since it is listed in this guide it is an insect that can do harm, however I have seen stink bugs feeding on Colorado Potato Beetle larvae so it is all a matter of context. Do your own reading now that you have a starter. 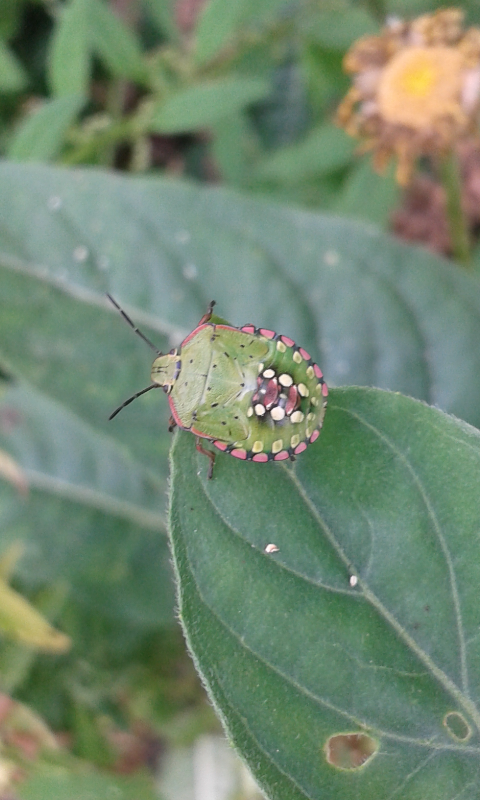 It is certainly Nezara viridula, and it's a 5th instar version - it will turn brown for winter. This one is native to the UK and Europe. These are interesting insects because their appearance changes quite dramatically over time, see images in this Wikipedia article. Known as stink bugs in the USA (although the true 'stink bug' is actually a different shield bug, [Halymorpha halys), but commonly called shield bugs in the UK, they are sometimes parasitized by a particular wasp. They are generally only a pest on agricultural crops and don't seem to cause much damage in mainly decorative home gardens, though if you grow a lot of legumes, they may be a problem. What kind of black and yellow insect has a zebra like pattern? What is this thorny leafless tree with lumpy yellow fruit? What is this yellow and black insect and how to get rid of them? What is this tiny black insect found on my cacti? What kind of insect is this on my green chilli? What is this all-white insect?